Carfax instills fear and manipulates consumers into doing its will. 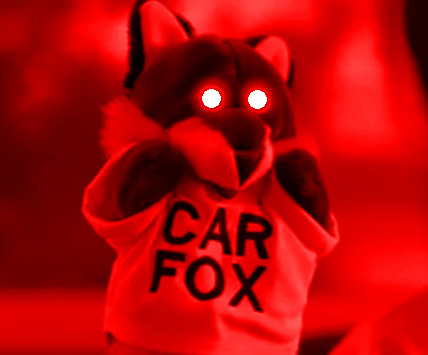 If Carfax were a political candidate, watchdog groups would be crying ‘smear campaign’ for its advertisements.Thankfully, the presidential candidate hype machine and the inevitable campaign commentary won’t start in earnest until the February so I’ll call it what it is: strong arming. And successful at that. Carfax’s target market in this case is used car dealerships. They could have run ads in industry publications extolling the virtues of carrying Carfax reports and the benefits to conversion rates (and they may for all I know.) Rather than take the kind and gentle approach though, they are bullying customers with TV ads. Instead of entering into a debate with dealers, they reach out to the dealers’ customers and play to the oldest and most political motivator around. They use fear. They describe all of the awful things that could be lurking in a car’s history and how a Carfax report can protect consumers from dealers. Then the muscle comes in when they tell you what to do about it. Just ask your used car dealer for a Carfax report. “Show me the Carfax” is their simple call to action and it really puts their dealer customers in a bind. After all, any reputable dealership with nothing to hide would surely offer prospective customers a vehicle history report, free of charge. Right? The unspoken implication is that if you don’t ask them to ‘show me the Carfax,’ they’re going to take advantage of you. By raising the expectations of consumers, Carfax is putting the squeeze on dealers and having the dirty work done for them by concerned car shoppers. This is the kind of half truth tactic that makes political campaigns so unbearable. In this case, there’s no denying that it works. Just don’t expect a lot of a lot of ‘across the aisle’ collaboration from dealers if an alternative service becomes available.